The 2nd day of the 12th South Asian Games saw the dominance of India in most of the sporting events. At the time of filing the report, the host nation sits at the top of the medals tally with 14 Gold medals and 5 Silver followed by Sri Lanka and Pakistan. Damini Gowda of India bagged the gold in the 100 m Women Butterfly Stroke Swimming event. K A Hiruni Perera and Machiko Raheem of Sri Lanka bagged Silver and Bronze respectively in the same event. Matthew Abeysinghe of Sri Lanka continued his dominance in Swimming , bagging the Gold in the 100 m Butterfly Stroke event. Gururaja of India bagged Gold in the 56 Kg category in the Men’s weightlifting event while the Wrestling contingent bagged a total of 5 Gold in various categories. Meanwhile, the Chief Executive Officer of 12th South Asian Games, Shri Injeti Srinivas has said, Guwahati and Shillong will put all-out efforts to ensure it to be the best-ever South Asian Games held so far. Briefing the media at the Sarusajai Athletic Stadium Conference hall here today, he said that all quarters including representatives of host and participating countries have appreciated the efforts put by the Games organisers for a glittering, grand and successful opening ceremony last evening. He said it demonstrated the power of sports which highlighted the unifying factors for peace, progress and prosperity amongst the South Asian nations. The North East region’s rich diversity also featured in the opening ceremony. The CEO said efforts have been made to put all results in the website of the SAG within five minutes of the declaration of the results. He said that Doordarshan is covering all the events live and providing feeds to all our participating countries including private channels of host nations. Responding to media feedback, the CEO said that the profiles of athletes will be uploaded in the SAG website very shortly and said that measures are already in place to tackle any issues which may arise during the period of the Games. He appreciated the efforts taken by the District administration of Guwahati for their cooperation in all these matters. Speaking on the issues of the participation of the Afghanistan contingent, the CEO informed the media that within a day’s time, the Indian Government brought in 184 athletes from Afghanistan to Guwahati using a special chartered flight. The action was taken in an unprecedented move by the Government of India, in keeping with the spirit of the Games. Mr. Srinivas said security in all venues including hotels are being placed at the highest standard. The CEO also informed the media that there will be a press briefing daily at 4:30 pm at the conference hall of the Sarusajai Athletic Stadium, Guwahati. February 6: The 12th South Asian Games 2016 witnessed a grand opening in Shillong on Saturday with an impressive crowd turnout at the Jawaharlal Nehru Stadium. Meghalaya Chief Minister Dr. Mukul Sangma, Union Minister of State and Sports Affairs, Government of India, Sarbananda Sonowal, Vice Chairman of the Games Technical Coordination Committee, Indian Olympic Association, S. M. Bali, Minister of Sports and Youth Affairs, Government of Meghalaya, Zenith Sangma, contingents from all eight participating nations besides other dignitaries were present at the event. The show took off with the National Anthem, introduction of the South Asian Games theme song followed by a parade of the participating countries' athletes. Speaking at the inaugural ceremony, Chief Minister, Mukul Sangma extended his warmest greetings to all dignitaries and people of the state. “I would like to welcome you to the capital of Meghalaya Shillong, the abode of clouds. This privilege of being able to host SAG is owed to the state governments of Assam and Meghalaya and most of all, to the Government of India for making it happen. It's a rare opportunity to see the flags of eight different nations being waved here at the JN Stadium,” he said. The opening speech was made by the Vice Chairman of the Games Technical Coordination Committee, Indian Olympic Association, S. M. Bali who welcomed all present and wished glory and success to the participating countries. 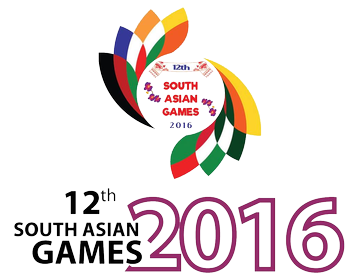 Meanwhile, Minister of Sports and Youth Affairs, Government of Meghalaya, Zenith Sangma said that host the 12th South Asian Games is a proud moment for both Shillong and Guwahati. India opened its account with Gold that too by women. Indian woman cyclist claimed the first Gold medal in the 30m Individual Time Trial cycling event. Bidyaluxmi Tourangbam claimed the first Gold for the country by winning the cycling race. The 2nd place also went to the Indian eve, Chaoba Devi winning Silver. Pakistans’s Sabiha Bibi got Bronze in the event. The cycling event was held at the Lakshmi Bai National Institute of Physical Education (LNIPE), Guwahati. .In the Men’s cycling 40 Km event, Arvind Panwar won the Gold. Manjeet Singh won silver while Sri Lankan , Janaka Hemantha Kumara Gonagalage won the Bronze medal. In Men’s Swimming 200 mt Freestyle event, Md. Mahfizur Rahman of Bangladesh won the Gold. Srilankan Matthew Abeysinghe won the Silver while Saurav Sangvekar won the Bronze medal. At 12 South Asian Games , India has opened its medal account with a gold in 30 km women cycling .India's vijaylakhmi won gold and shobha devi clinched silver medals while Pakistan's Sabia got bronze medal. The Prime Minister Shri Narendra Modi today inaugurated the 12th South Asian Games, 2016 in a glittering ceremony at the Sarusajai Sports Complex in Guwahati before a rapturous and capacity crowd . A host of dignitaries were present on the occasion including, the Union Minister of Youth Affairs and Sports(IC), Shri Sarbananda Sonowal, the Chief Minister of Assam Shri Tarun Gogoi , the Chief Minister of Meghalaya Shri Mukul Sangma, the Governors of Assam and Meghalaya , the Union Petroleum Minister Shri Dharmendra Pradhan among others. The event was telecast live on Doordarshan to millions homes across the region. Declaring the Games open, Prime Minister Shri Narendra Modi, welcomed all participants. Espousing on the theme of ‘Atithi Devo Bhabo’, he urged all to enjoy the hospitality and scenic beauty of the North East and compete with togetherness, teamwork and talent. The Prime Minister further said that his vision for South Asia is the same with his vision for India -- that is, Sabka Saath, Sabka Vikas. Describing the Games as a springboard for the overall development of the North East India, India as a whole and the South East Asia, he asked all to play for Peace, Prosperity and Progress. He also said that 21% population of the world resides in South East Asia contributing 9% of the world economy. He said that this Game will further strengthen cooperation among the SAARC countries. The inauguration ceremony was started by the team parade. The participating nations, decked out in their traditional dresses made their way into the ground amidst huge cheers from the packed audience. Each participating nations carried waters from one of their major rivers and the Indian Ocean. The waters were later merged into the Brahmaputra, symbolizing the confluence of the nations and the way forward in harmony and togetherness. The Flame of the 12th South Asian Games was brought into the grounds by Gagan Nareng and was relayed through by eminent sport personalities including Monalisa Mehta, Bhogeshwar Baruah, Anju Bobby Goerge , Krishna Poonia and Rani Nagpal. Baichung Bhutia did the final lap and lit the digital flames in the centre of the ground. The cultural show, which followed the flame lighting ceremony was a glittering spectacle showcasing the confluence of the digital and the traditional. Immersing the grounds in a show of vivid colours and lights ,the show started with the theme song of the Games, ‘Ai Prithibi Ek Krirangan’. The song originally composed by Dr. Bhupen Hazarika, it was performed by artists’ Mayukh Hazarika, Lou Majao and others and spreads the message of peace and harmony through sports. It was followed by a colourful display of the traditional dances of the region and song performances by artists like Zubin Garg, Angaraag Mahanta and Nahid Afrin. Speaking on the occasion, Union Minister of Sports and Youth Affairs (IC), Shri Sarbanada Sonowal welcomed all participants to the states of Assam and Meghalaya and spoke on the huge opportunity the Games represented for the North East. Chief Minister of Assam Shri Tarun Gogoi, compared the mascot Tikhor to the spirit of the Games and espoused all to imbibe the values represented by him. Chief Minister of Meghalaya, Shri Mukul Sangma, echoing the same sentiments stated that the North East comprises of a great talent pool of sports and asked all participants to indulge in the distinct lifestyle and culture the region represents. The 12th South Asian Games, 2016 is the first international multi-sporting mega event in the North Eastern region. Athletes from eight member countries namely – Afghanistan, Bangladesh, Bhutan, India, Maldives, Nepal, Pakistan and Sri Lanka will be participating. Around 3500 athletes and sports officials from 8 countries are participating in the biggest ever sporting spectacle in the North East India.